Devolver’s booth has quickly become one of our favorite stops over the past few years at PAX East. There’s always something surprising to find there, and this year was no exception. 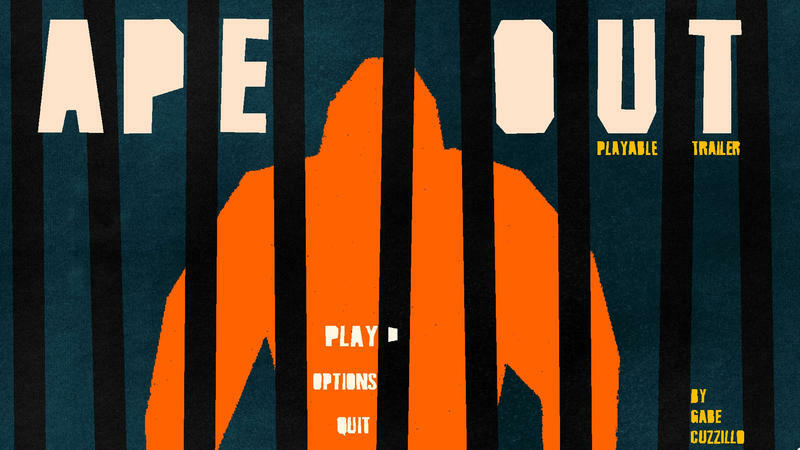 I was looking forward to seeing the newest game they’ve picked up: Ape Out, made by Gabe Cuzzillo. The game has gone through a few different versions over the last three years of development, starting out as a pure stealth game with a bald man as the main character. Ape Out evolved over time as Cuzzillo iterated from a stealth game to something more action oriented. 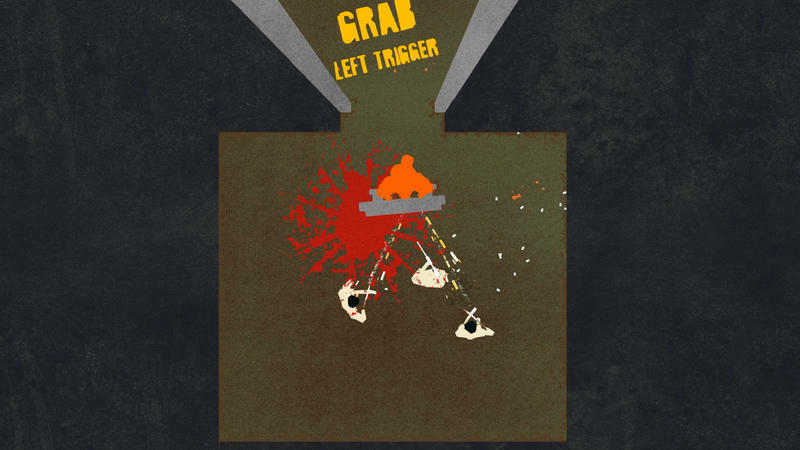 The idea of a gorilla eventually came to him after realizing the original main character no longer fit the theme of grabbing and tossing enemies like ragdolls. Visually it’s simplistic but stylish. Nothing on the screen is wasted space. What stood out to me is how much the soundtrack and sound effects mirror and enhance the action. As you’re running along, the walls around you blur and pulse to a funky jazz beat. Cymbals crash and splash when an enemy impacts a wall or collides with a fellow guard after you’ve tossed your human shield across the room. While the number and shapes of rooms and corridors on the map are predetermined, the paths and enemy placement are randomized. Not only does this keep each run feeling fresh, but it encourages a faster, more brazen playstyle. The demo for PAX East included three levels with varying difficulty and a few fun surprises. As expected, you learn the basic elements of moving, punching and grabbing within the first few minutes. It was during the last level of the demo where I tripped the alarm and an endless stream of guards poured into the halls. It was a frantic moment of panic. I didn’t last long. As determined as I was to keep trying, I didn’t want to force the people waiting to try the game to sit through another run. I stepped aside to ask a few more questions, but caught myself trailing off as I’d inadvertently got drawn into watching the next player narrowly escape being gunned down. The levels offer consistent moments of tension and release that are almost as fun to watch as they are to play through. 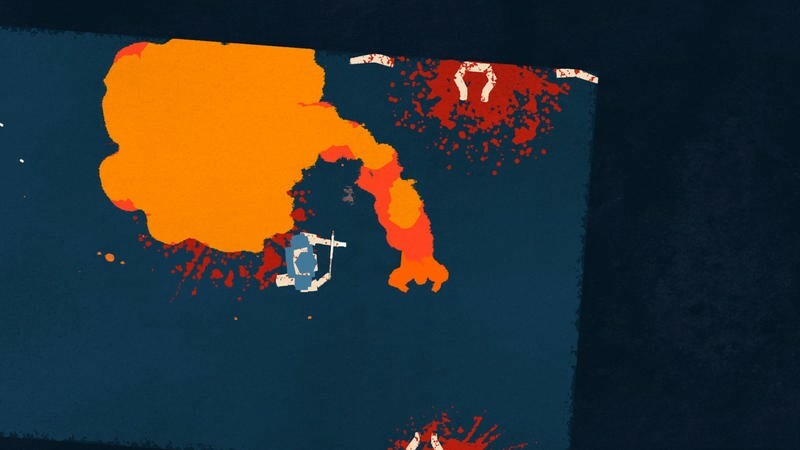 There’s much more content to be made for Ape Out, but the framework is solid. The plan is to offer up a few different game modes and leaderboards for fastest times or most kills. If you can’t wait, there’s a playable demo available now on Steam. 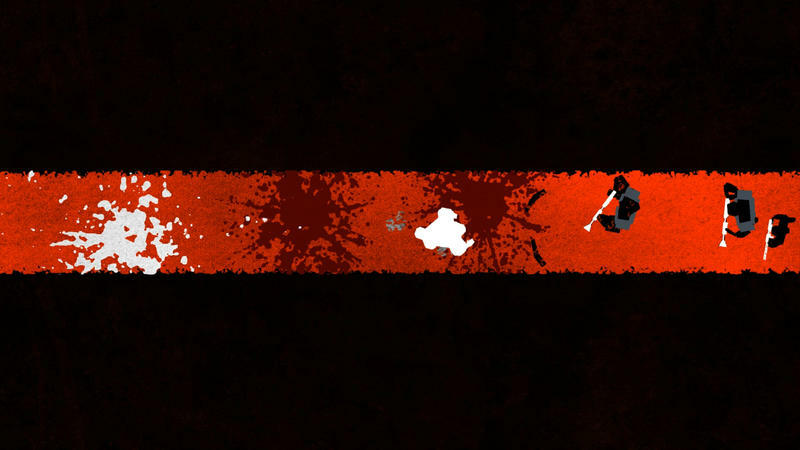 Ape Out is set to release later this summer.